Serif MoviePlus - download in one click. Virus free. Download the latest version of Serif MoviePlus with just one click, without registration. It comes with a safe official web installer for Windows. 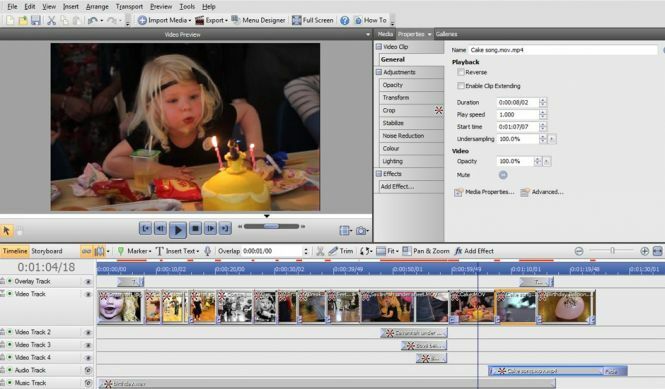 Serif MoviePlus is a video editing utility that is designed primarily for beginners. 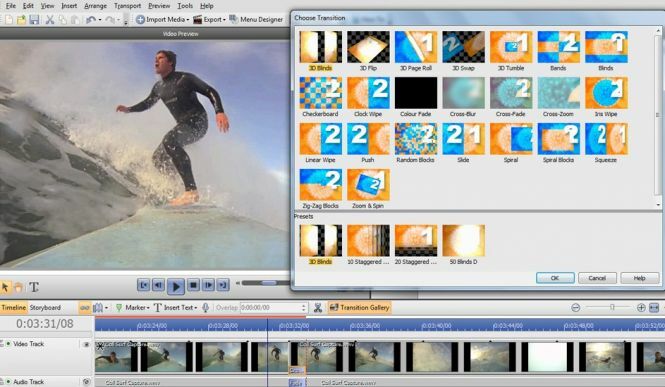 The software allows you to edit, burn, and upload videos, offers a wide variety of effects, and provides you with an easy-to-use interface. If you're a complete beginner, you'll find it particularly handy that Serif MoviePlus provides you with a vast number of tutorials, step-by-step instructions as well as professional tips and tricks. You can even use a preset themed video project already created with titles, effects, and transitions to get a result immediately. Serif MoviePlus allows you to apply over a hundred of effects to enhance your movies. Besides retro, noise, motion blur and diffuse glow options, you'll find such interesting filters as tilt-shift or chroma key. The movie editor also offers plenty of transitions, such as basic 3D rotation or cross-fade. Naturally, the program lets you customize your videos by adjusting such parameters as color, lighting, vibrancy, exposure, shadows, clarity and many more. 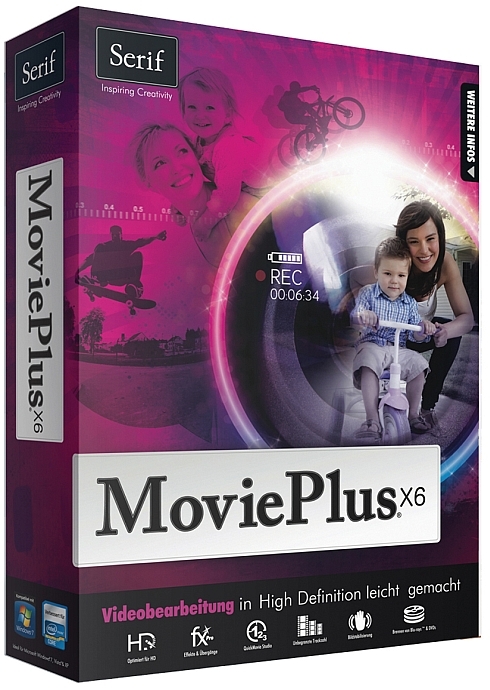 If you prefer to shoot your videos in HD, MoviePlus is a perfect solution to edit full HD 1080 footage. The software uses smart management of background tasks to help you watch and edit your HD movies without slowing them down even on low-end PCs. MoviePlus supports a large number of other video formats, including AVI, MP4, WMV, MPG, QuickTime and MOV.You can also export your results to watch on any kind of device, such as smartphones, iPad, iPod, or PSP. You can also share your projects on popular social networks right from within the program. Moreover, MoviePlus lets you burn your movies to DVD, VCD, or Blu-ray Disc. Serif MoviePlus is a great solution for home users. It offers a wide array of tools to watch, edit, and burn your videos and has all this myriad of options wrapped in a nice easy-to-use interface with plenty of tips and tricks to guide you. Some of the advanced editing features are disabled. Puts a watermark on any exported video file. Supports a limited number of formats.